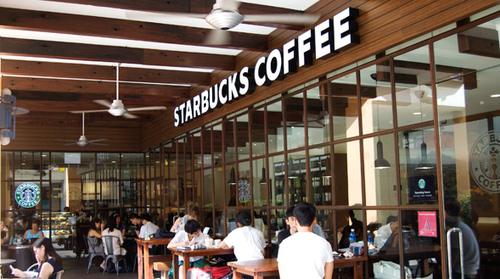 Now this is just too cool for words: a Starbucks branch in Singapore made from railway sleepers. Reclaimed railroad sleepers from around South-East Asia have been used to line this wall. Where will it live next? The store also uses LEDs for lighting, which are far nicer than those florescent tubes that buzz and make everyone look terrible.